Are you seeing problems with maps in Alpha Tracker? 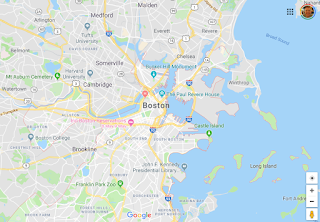 Either the map is showing Boston, USA as the location or perhaps you're seeing an error message on the screen instead of the map itself? 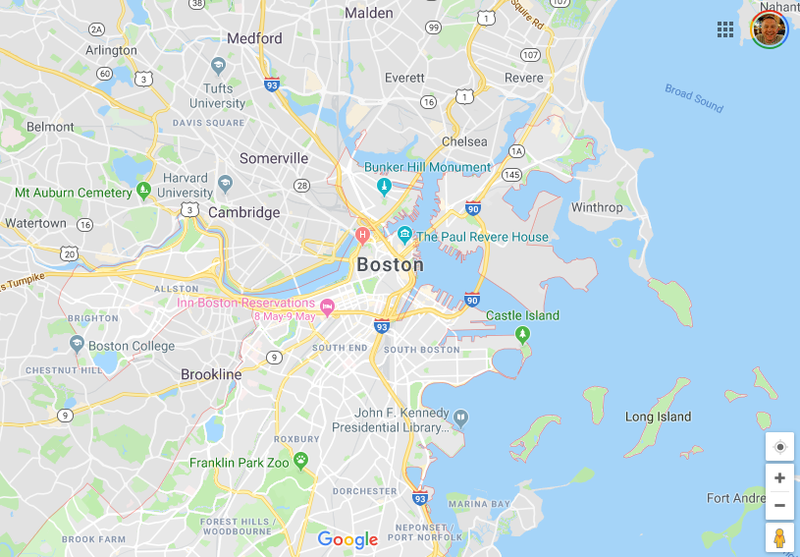 Is Google showing the location of all your Alpha Tracker sites as Boston, USA? If you are having problems, please accept our apologies. We've been caught out by a change that Google has made to their mapping engine and we're having to patch Alpha Tracker to fix it. We're on the case and should have a solution within the next week or so. Contact our support desk for more information. - more opportunities for the system to send automatic emails to staff and clients. The 21-page PDF of the release notes is available here https://www.start-software.com/tracker/alpha-tracker/release-notes/ ready for you to read, download, print and keep with your Quality Manual. Don't forget to give us your ideas for Release 31 which will be coming up in early summer - contact us via our website. We're well known in the Alpha software development community for our ability to develop and deliver quality software on time and to budget. We've started working with a new client with offices in the Empire State Building and the views are simply incredible. What a place to work! We've had an incredible four (4) new orders for asbestos software Alpha Tracker in a week! Two of the orders have come in from asbestos consultancies wanting to switch from other systems. They have heard about our 24x7 personal support and "partner" approach to working, and want to move away from their current platforms. 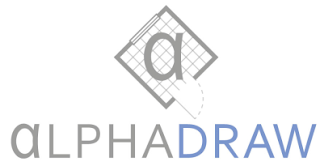 The other two Alpha Tracker orders are from large organisations with many sites who will be using Alpha Tracker to manage asbestos within their property portfolio. Looks like we've got a busy spring ahead of us, but we're always pleased to talk to other potential new customers so do get in touch if you think we can help you with your asbestos problem. 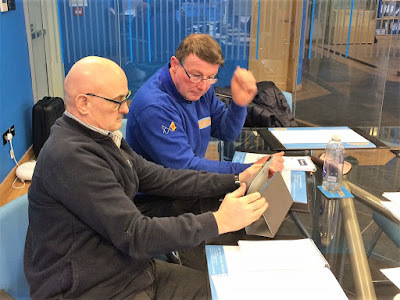 The asbestos specialists at Central Demolition in Bonnybridge enjoyed an Alpha Tracker workshop last week, helping them to develop their skills and to get the most from their asbestos management system. 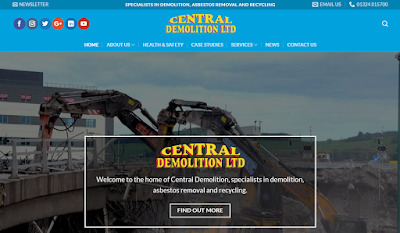 Central Demolition have been helping their clients with asbestos issues since 1993 and are members of the National Federation of Demolition Contractors (NFDC) and the Asbestos Removal Contractors Association (ARCA). They hold a wide range of other memberships and accreditations, and are multiple award winners. In addition, they are certified to the ISO 9001 (quality), ISO 14001 (environmental) and OHSAS 18001 (health & safety) standards. Specialist asbestos consultancy Robertson McGregor has gone live with their choice of asbestos software, Alpha Tracker. Fife-based Robertson McGregor provide asbestos services across Scotland and have an incredibly experienced management team with 50 years of experience between them. Not only do they hold ARCA management certificates, they also have a Gas Safe registration and their staff are P402 asbestos qualified. The staff at Robertson McGregor are looking forward to using Alpha Tracker and Tracker Mobile... welcome to the Alpha Tracker family! Judy & Leanne in our Adelaide Alpha Tracker office have just received another order from a new New Zealand asbestos lab. 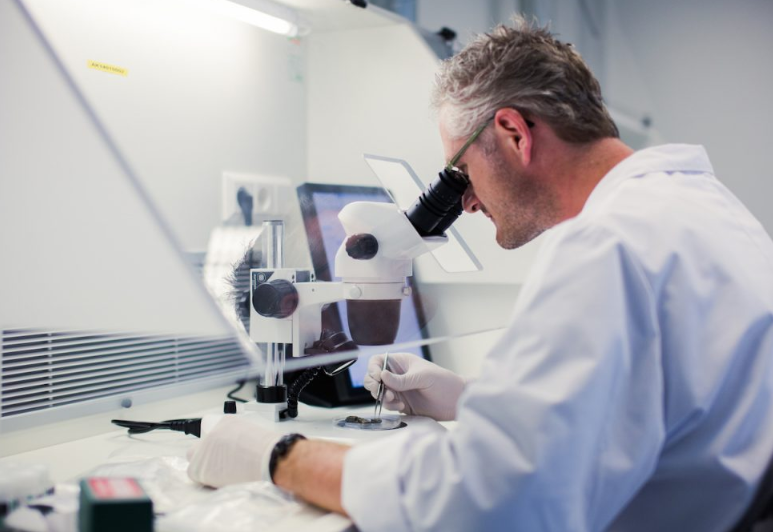 The directors of the lab have used asbestos software Alpha Tracker before as well as our main competitor product - and in their new business they have chosen Alpha Tracker to meet their needs. That's what we like to hear! If we can help your asbestos consultancy in the UK, New Zealand, Australia or elsewhere... please get in touch! Asbestos lab and environmental consultancy Airsafe is celebrating a successful NATA reinspection - the first since deploying asbestos software Alpha Tracker. Manager Simon Gorham told Judy from our Adelaide office that "NATA were happy with the security, user interface and traceability of the software. Airsafe is now fully compliant with the updated version of ISO17025:2017". NATA compliance is the Australian equivalent of UKAS accreditation in the UK - a tough process but one that is very familiar to most of our UK Alpha Tracker asbestos consultancy clients. We're delighted for our friends and partners at Airsafe - congratulations from us all. Is your username appearing in random boxes in Alpha Tracker? Have you noticed your username appearing in random boxes in asbestos software Alpha Tracker recently? The culprit is the latest update to the web browser Chrome, version 72. Chrome is trying to be helpful and is auto-filling the username into what it thinks is a login box... but its logic is wrong and it is putting the username into the wrong box! It is likely that Google will fix a future release of Chrome, but, in the meantime, you can either use Edge (the browser from Microsoft) to access Alpha Tracker, or contact our support desk to see if we have a patch available. If you're not a transport nerd, stop reading now! My love for technology doesn't stop at computers and writing software... I'm also fascinated with trains, ships and aeroplanes too and absolutely love the Airbus A380 double-decker superjumbo in particular. 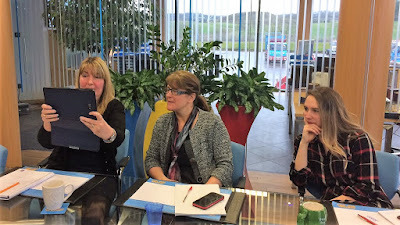 When I work in our Adelaide Alpha Tracker asbestos software office with Judy & Leanne, a highlight of the journey is the A380 from Manchester or Birmingham to Dubai. It is whisper-quiet, roomy, sophisticated and such a relaxing way to travel even in economy seats. On the occasions I've upgraded to business it is simply awesome with comfortable lie-flat beds, superb food and a bar - yes, an actual bar - at the back of the upper deck to relax in. At Dubai, I have to switch to a Boeing 777 on to Adelaide and it is always such a disappointment. In comparison, it is noisy and cramped and feels nothing like the Airbus. 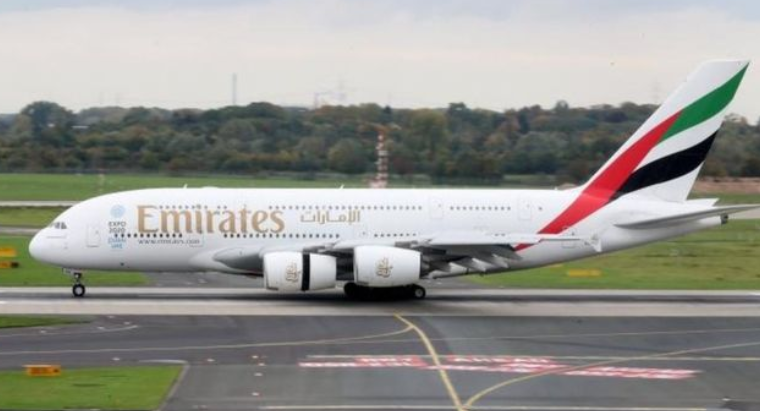 So, like many other frequent flyers, I'm gutted with today's news that the A380 is stopping production 14 years early. The main competition for the superjumbo Airbus is the new Boeing 787 "Dreamliner". I've just flown the Heathrow - Perth direct flight for the first time to spend a few days with Judy in Perth and, for sure, a 9000 mile journey is an incredible human engineering achievement but despite the 787 having special lighting, higher cabin pressure, and a special menu to help make the journey an easier one, I was struck at how it was nowhere near the experience of the A380. 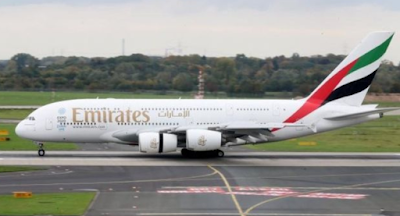 So why has the A380 been a relative failure (despite passengers loving it) with only a few airlines taking it on and only Emirates placing really big orders? The main cause is fuel efficiency. The A380 has four engines whereas the 787 only needs two in order to travel similar distances, albeit with far fewer customers, and therefore needs less fuel (and fewer passengers) for a successful flight. So, in a way, it's gone the way of Concorde and another of my favourites, the HSS ferries. A technological masterpiece crippled by the cost of fuel. The A380s in service will keep flying for many years to come but I'm sad today that an engineering marvel is coming to an end, and very sad for the Airbus workforce in the UK who build its enormous wings. Alpha Tracker Release 30 is nearly ready (fingers crossed)... this time we mean it!! We blogged last month (http://robinbennett.blogspot.com/2019/01/asbestos-software-alpha-tracker-release.html) to say that asbestos software Alpha Tracker Release 30 was nearly ready but to get in touch if you wanted any extra features "squeezed in". How you responded!!! Fingers crossed we've packed the last feature in! Well, we've added another 25 features into this release following your feedback and we're in the final stages of testing now. Dan has just built Release Candidate 8 of this update for Judy and Leanne to check over. Shouldn't be long now! I'm working this week from Perth with Judy from our Australian asbestos software business, Alpha Tracker Pty. It's great to see that Judy and Leanne are so busy with new orders and just this morning an email arrived from an asbestos consultancy in Sydney wanting to place an order for asbestos software Alpha Tracker. 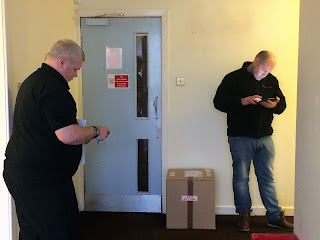 What's especially comforting is that most orders arriving are from personal recommendation - users are switching to us from competitor systems because they have heard about our industry-leading 24x7 personal support and our mature attitude to doing business. 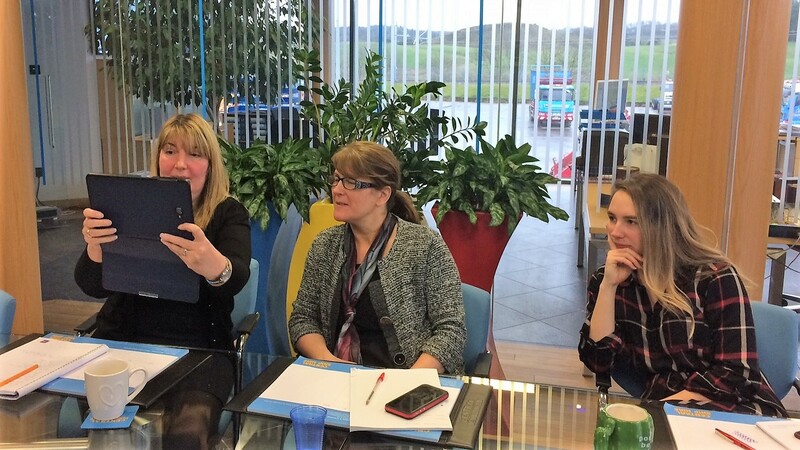 We'll blog again when the consultancy goes live and has had their 1-1 training session. Can we help your Australian consultancy to become more efficient and save hours of admin time with every asbestos report produced? Get in touch to find out how Alpha Tracker can help. 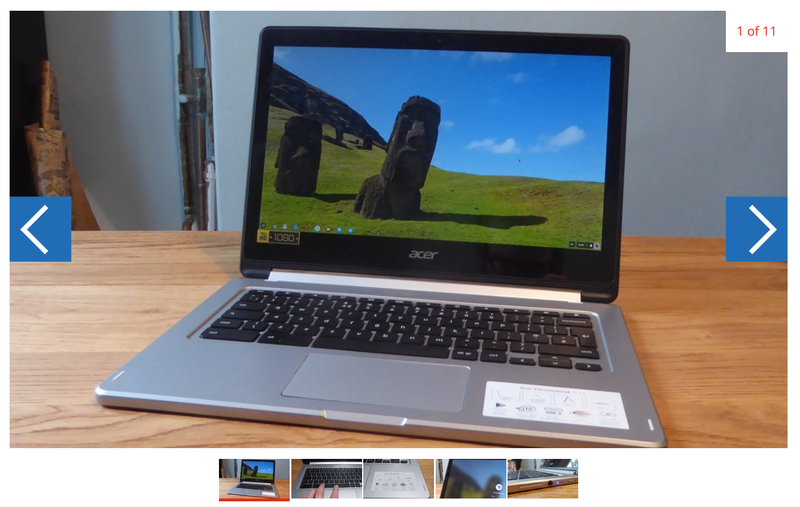 Chromebooks - a real alternative to a Windows laptop now? The day before setting off for my week working in Perth, my laptop screen failed. It tantalised and teased me to begin with, flickering slightly and responding to a "waggle" and the classic switch-it-off-and-on-again approach to fixing anything. But hours after starting to show signs of problems ahead, it simply died and left me with a laptop that was on and working but with no screen to see what I was doing - unless I plugged into an external monitor. It's not really an option to cart a 24 inch monitor halfway around the globe so I only had a couple of hours, before the shops closed and my flight was ready to board, to see if I could find a replacement laptop to take with me. My laptop, a Lenovo X1 Yoga, is my trusted old friend and still in warranty so I really only needed something to work on while I was away. Our local PC World had a few laptops that appealed but they were all £1500+ and that's far too much to spend when I knew that my own laptop would be repaired by the time I was back. - Gmail and the other Google cloud tools would sort me out for personal stuff. Chrome even has a remote desktop feature which would allow me to access my broken Windows laptop (if I left it on in Telford while I was away). So I rationalised that I could manage with just a web browser for the week and decided to give it a go. Then I noticed a sticker on the Chromebook and had the revelation... Chromebooks can now run Android apps from the Google Play store! Did everyone else know this and just not me?! This was amazingly useful - so favourite phone and tablet apps for Outlook, Tasks, Skype... they all install and work perfectly to give an almost-Windows feel and capability. It should mean that even mobile app development software like the incredible new Alpha TransForm should work perfectly. So, what's the verdict so far? Yes, it works just fine! I'm missing one or two Windows features (like the in-built photo editor, for example) but nothing important. This has been a real eye-opener and an example of how the Internet and cloud computing is changing the hardware world, too. *Eagle-eyed readers will be thinking "but isn't Alpha Tracker software for asbestos consultancies?". Yes it is! But Alpha Tracker is actually end-to-end business management software which works for most businesses, whether they are in the environmental industry or any other - and it works perfectly for us a software company. 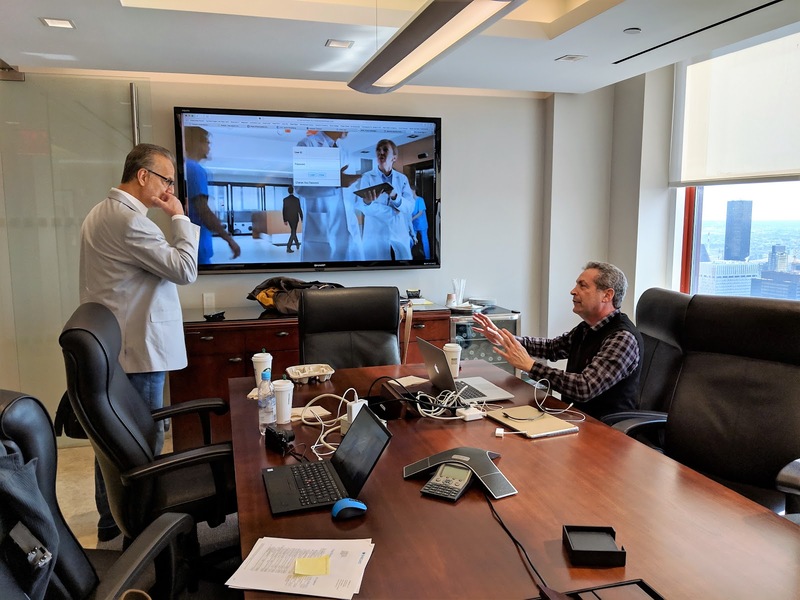 Using our own software to run our own business also means that we have a real incentive to fix bugs and improve it each and every day which is great for our users. Meet Neil Bartholomaeus. 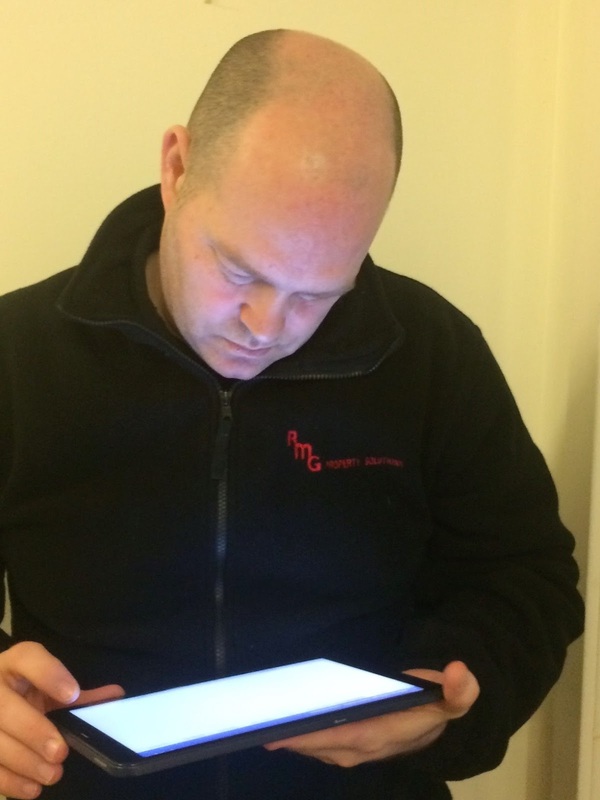 Neil has been a business partner of ours for 20 years and is the brains and energy behind Mobile Data Studio, a key part of Start Software's Tracker and Alpha Tracker asbestos software systems. Neil lives and works near Perth, Western Australia, and had the vision to see the market for mobile site data collection systems even before reliable handheld devices existed! His experience working for the government in the most senior health & safety roles gave him an insight into the value of collecting data electronically and replacing paper with electronic forms. 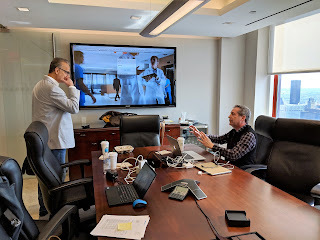 The result of this vision, working with software developer Mike Stokes, is the software that we use to create our Tracker Mobile asbestos data collection system which has now captured 30,000,000+ items of asbestos data from buildings worldwide. Having been business partners across the globe for 20 years now, we have finally got to meet! I am working out of Perth this week with Judy from our Australian Alpha Tracker office, so Neil & I arranged to meet to discuss strategy and the next round of software improvements. 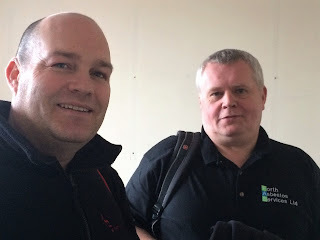 Cheers Neil for 20 years of partnership, helping us to help asbestos consultancies to identify and remove asbestos from buildings around the world. We're delighted that another Scottish asbestos consultancy is switching to asbestos software Alpha Tracker. Robertson McGregor Property Solutions, based in Fife, provide asbestos surveying, management and removal services to their clients and Alpha Tracker will help them to be even more efficient. Can we help your asbestos consultancy to improve your service and become more efficient? Get in touch! We all celebrated director Elaine's 50th last night at the best pub in the world... the George & Dragon in Much Wenlock. Happy birthday Elaine from all of us!! Kim has been on site again this week with two asbestos consultancies helping to train new asbestos surveyors to use our asbestos software Alpha Tracker. - send the asbestos data, photos and plan from site back to the server ready for the samples to be analysed and the asbestos report produced. Can we help your asbestos consultancy to remove paperwork from your business or swap from another system? We offer special discounts to users of other systems so get in touch now! Our latest asbestos software Alpha Tracker update, Release 30, is nearly ready. 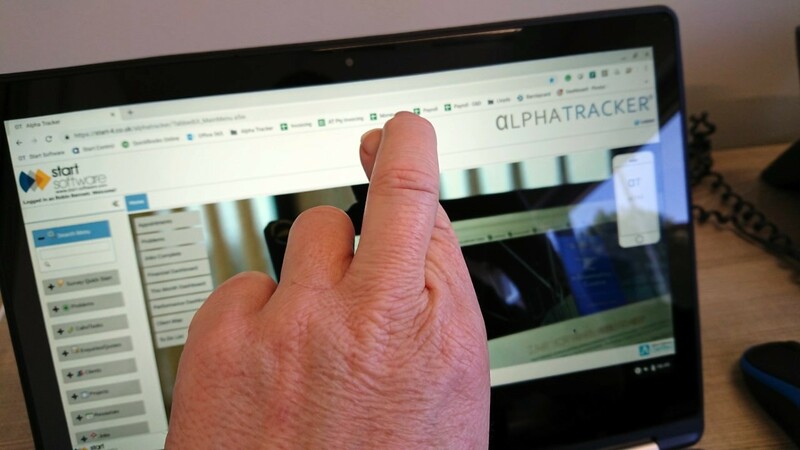 Dan has just published Alpha Tracker Release 30 beta 3, making it available to asbestos consultancies who are part of our beta testing programme. Release 30 will contain more than 100 new features, bug fixes and performance improvements and will be welcomed by clients using Release 29 or earlier (click here for details of the previous update, made available in the autumn). One of the key new features which Release 30 will make available is the new Alpha Draw site plan module which we have been blogging about throughout the second half of 2018. There is still time to squeeze another couple of improvements into the software, so do get in touch if there is a feature you'd like to see!